Telecommunications giant AT&T has finally completed its merger with DIRECTV. It shouldn’t come as a surprise, then, that AT&T is now offering an entertainment-plus-Internet bundle deal. Today, the company announced its new All in One plan that offers smartphone service for a family of 4 with 10 GB of shared data, along with HD satellite television and DVR service with 4 receivers, all for $200 per month. 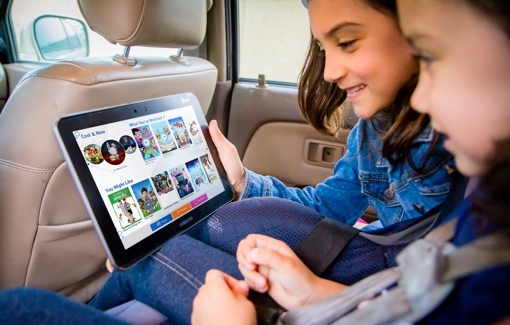 “Today is the first of many planned moves to enable our customers to enjoy a premium entertainment experience anywhere,” said Brad Bentley, executive vice president of AT&T Entertainment and Internet Services. Recently, it has become the trend for telecommunications companies to offer cable delivery and other entertainment services (like HBO Now) as well. It may be necessary to compete in the market – Verizon offers wireless plans, FiOS Internet and cable TV services together in select areas. AT&T’s new partnership may better appeal to rural customers who already rely on satellite TV for service. Bundling here could save you a lot of money over the next year (though certainly not as much money as can be saved cutting the cable TV cord for good). The $200 All in One package includes DIRECTV Select or U-verse U-Family TV service; upgraded DIRECTV Xtra, Ultimate and Premiere packages are available at an added cost. A two-year DIRECTV agreement is required. High-speed home Internet service is also available in select areas starting at $30 per month (6 Mbps). All in One AT&T plus DIRECTV plans officially launch August 10. To learn more, visit www.att.com/dtv or visit an AT&T store near you.